A suicide bomb attack has hit the central Damascus neighborhood of al-Midan, killing at least 25 and wounding dozens, Syrian state TV reports. Casualties are reported among both civilians and law-enforcement officers. 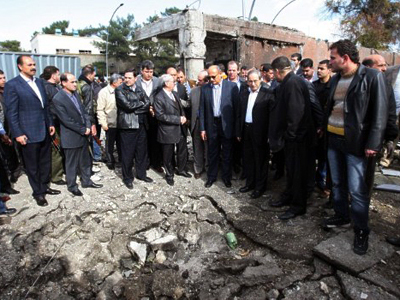 However, most of the casualties are civilians, SANA news agency reports. Interior Minister Ibrahim al-Shaar confirmed the death toll on Syrian state television, saying 15 of the victims could not be identified because they had been torn apart in the blast. The minister vowed a harsh response for those responsible for the grizzly attack in the heart of the capital. "We will strike back with an iron fist at anyone tempted to tamper with the security of the country or its citizens," al-Shaar said, as cited by Reuters. A Syrian official, speaking on condition of anonymity, said the target of the attack appeared to be a bus carrying policemen. A nearby police station was also damaged by the explosion. Police have cordoned off the area. 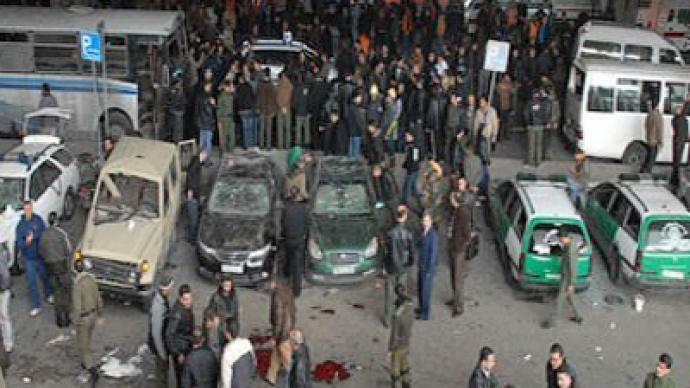 The blast occurred at an intersection in al-Midan, in a densely populated area with heavy traffic, near the Hassan al-Hakeem basic education school. Ambulances quickly rushed to the scene. Syrian TV showed footage of angry men carrying the remains of a dead person and also showed a damaged bus that had blood on its seats as well as the helmets of riot police. The windows of nearby cars had also been blown out from the force of the blast. "This is a criminal terrorist act," a man shouted while being filmed by a state TV crew. 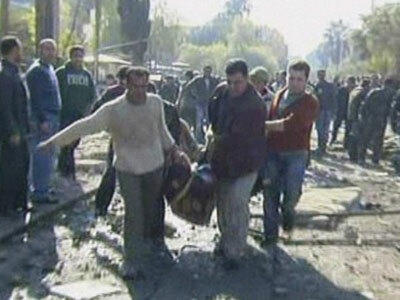 The bombing comes a fortnight after two blasts targeting security buildings in Damascus killed 44 people. Violence is continuing in the Syrian capital following months of anti-regime protests and crackdowns on the opposition. The latest bombing has perpetuated the cycle of claims and counter-claims as to who is responsible for the ongoing violence. While some in the opposition accuse the authorities of carrying out Friday's attack, the government says the suicide-bombing proves they are fighting terrorism rather than a pro-democracy movement. It has yet to be confirmed whether the attack will affect an Arab League meeting planned for Sunday to discuss an observer report on President Bashar al-Assad's compliance with a plan to halt violence in the country. The Arab League committee will determine whether to continue the Syrian mission, or refer Damascus to the United Nations Security Council, a move which could give the green light for international intervention. Meanwhile, in a Thursday interview with AFP in Beirut, the head of the rebel Free Syrian Army Riyadh al-Assad called on the UN to intervene, saying Arab League mission had been a failure. "We call on the Arab League to step aside and let the United Nations take over responsibility as it is more apt to find solutions." On Friday, Arab League Secretary General Nabil Elaraby admitted the monitors in Syria had undertaken a much bigger mission than was originally asked of them, though he did not elaborate further. 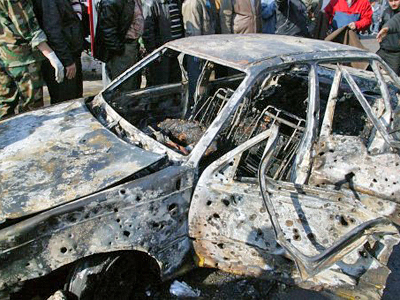 ‘Sabotage’ blasts in Damascus: Arab League mission doomed from the start?